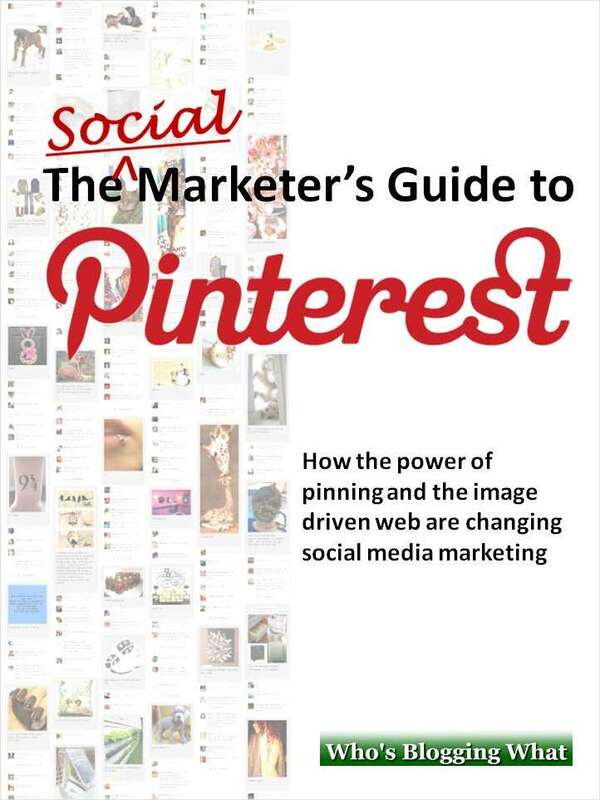 "The Social Marketer's Guide to Pinterest"
Free Guide: "The Social Marketer's Guide to Pinterest"
Pinterest is more than just the hottest social media phenomenon of 2012, it is a valuable new channel of addictive viral exposure and new customers for a growing number of web sites. For marketers, there are opportunities and challenges that are quite different from those at Facebook and Twitter. By submitting this content request, I have legitimate interest in the content and agree that Who's Blogging What, their partners, and the creators of any other content I have selected may contact me regarding news, products, and services that may be of interest to me.